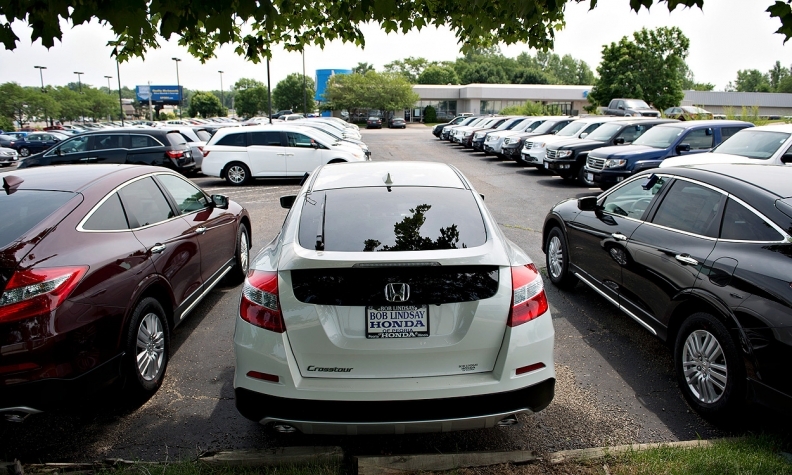 Customers who completely pay off their credit cards every month are more likely to pay off their other debts, too, including auto loans, a new study found. NEW YORK -- A new study by credit bureau TransUnion confirms something lenders have believed but generally couldn't prove: Customers who completely pay off their credit cards every month are more likely to pay off their other debts, too, including auto loans. "What's so key is that the same consumers who apply for credit cards also apply for auto loans," Ezra Becker, vice president of research and consulting for TransUnion's financial services business unit, said in an interview here. It helps dealerships when lenders can predict risk more accurately and keep losses for bad loans to a minimum. Losses are already at or near historic lows. That encourages continued easy access to credit. Becker is co-author of the study, which gathered massive amounts of data on consumer payment behavior. He pointed out that with losses on auto finance so low, an improvement in reducing losses of a small fraction of one percentage point is significant. For example, Ford Credit reported that in the second quarter, excluding bankruptcies, delinquencies over 60 days for U.S. loans and leases combined represented only 0.13 percent of the amount outstanding, flat vs. a year ago. Becker said the TransUnion study found a spectrum of payment behavior -- and also risk -- between two kinds of consumers: transactors and revolvers. Transactors pay off their entire credit card balance every month. Revolvers pay amounts less than the entire outstanding balance, ranging to as little as the minimum amount due, he said. In general, the closer revolvers get to paying off the entire balance, the less risky they are. That's commonsensical. But Becker said lenders had a hard time proving it. Lenders could check credit history to see whether a consumer was delinquent, but they could check specific payment data only for their own credit cards and loans. The TransUnion study looks "across the consumer's wallet" to credit cards and loans from all lenders, Becker said. "You could have someone who's paid up on one card and not on another," he said. Becker also found that some subprime borrowers were an exception to the rule that paying in full, or close to it, meant less risk. He said some subprime buyers paid nearly all of their credit card debt in a given month by short-changing another account.